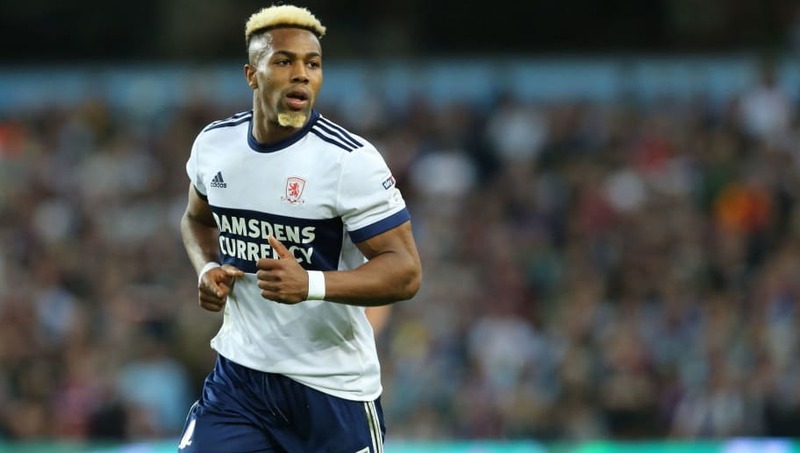 ​​Wolverhampton Wanderers have agreed a fee with ​Middlesbrough for winger Adama Traore, with the transfer set to be completed before Thursday's transfer deadline. The newly-promoted ​Premier League side have been long-term admirers of the 22-year-old, and recently had a £12m bid rejected by Boro. However, ​the Express and Sta​r report that Wolves have upped their bid to a potential club record fee (around £20m), which the north East club have reluctantly accepted. Wolves' previous club-record transfer acquisition was the signing of Ruben Neves, who they captured from Porto for £15m just over a year ago. Traore will becomes Wolves' 11th summer signing, with the Midlands club having spent over £50m on new arrivals during this transfer window. The club have turned Ruben Vinagre, Diogo Jota, Willy Boly and Leo Bonatini's loan deals into permanent signings, while they have also added the likes of Joao Moutinho, Raul Jimenez and Rui Patricio to their ranks. The Traore transfer also comes in a difficult week for Middlesbrough, who suffered a blow by ​selling key defender Ben Gibson to ​Burnley for a £15m fee over the weekend. Traore joined Boro in the summer of 2016 from Aston Villa in a swap deal with Albert Adomah, and has made over 50 appearances in his two seasons with the club. The Spanish winger - who is also eligible to represent Mali at international level - started his career at Barcelona, where he made four first-team appearances, including one in the Champions League. Traore joined Boro in the summer of 2016 from ​Aston Villa in a swap deal with Albert Adomah, and has made over 50 appearances in his two seasons with the club. The Spanish winger - who is also eligible to represent Mali at international level - started his career at ​Barcelona, where he made four first-team appearances, including one in the Champions League. He then moved to Villa Park in 2015 for £7m, but made only 11 appearances for the club as they were relegated to the ​Championship. The young winger has also been recognised at youth international level, having been capped twice by Spain's Under-21 side.